LANSING, Mich. — Gov. 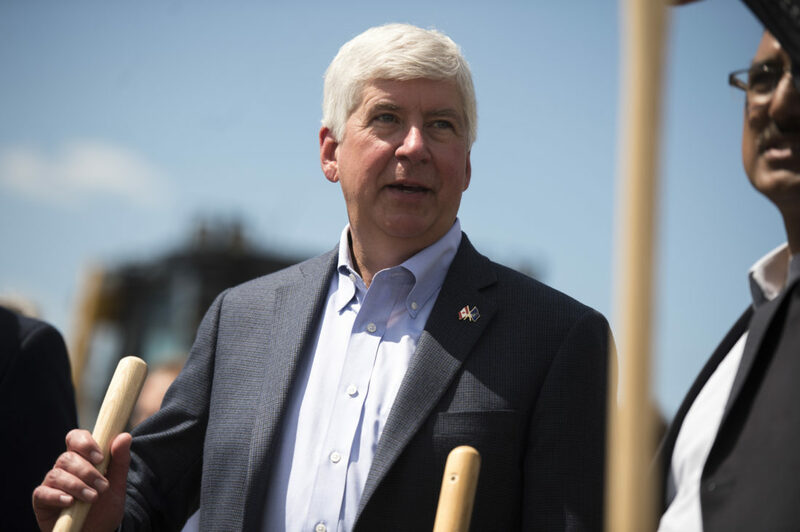 Rick Snyder is ordering the state to no longer ask job applicants and people seeking certain occupational licenses to check a box if they have been convicted of a felony. Snyder, who announced the changes early today, said the box is being replaced with a statement by which applicants can affirm their good character. He encouraged private employers to also remove the checkbox, so people are not automatically disqualified or are discouraged from applying in the first place. The criminal history of a state job applicant can still be taken into consideration later in the hiring process but not as an initial screen. Someone’s criminal past may still be an issue if he or she is precluded by law from filling the position or if the crime is directly related to the profession for which the ex-felon is seeking employment. Snyder said he would be open to “having a dialogue” with lawmakers on so-called ban-the-box bills that would prohibit all employers from including criminal history questions on their applications, but he hopes the state’s actions “will build more momentum for employers to do this on their own.” Each year, about 50,000 people are convicted of felonies in Michigan. In March, the Republican governor signed a law to bar municipalities from regulating what employers can or cannot ask during job interviews. The bill was a pre-emptive backlash against salary history bans in other parts of the country, but it sparked criticism from some who said it would cause unintended consequences by hurting efforts to pass sensible “fair chance” policies at the local level to help offenders get jobs after their incarceration and not commit new crimes.